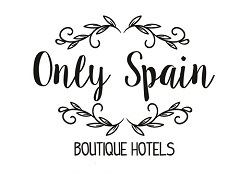 I’m always looking up and visiting great hotels in Spain, they are my passion and the sole reason for starting my Only Spain ~ Boutique Hotel collection. It’s taking me a while and it’s not easy visiting gorgeous hotels but the portfolio is growing and most quickly in Andalusia the region of Spain in which I live. When I stumbled upon the Spanish Conde Nast list El Lujo es un Cortijo – Luxury is a Cortijo (country house) I was very happy that I knew about (but have not visited) most of them. The one new addition (Cortijo Los Malenos) to my list of ‘lovely places to stay that I want to visit for Only Spain’ makes me wonder whether I’ll make it around the whole of Spain when Andalucia is so large and diverse. It’s a huge country to a Brit like me but one I delight in exploring. How Conde Nast managed to limit their list to eleven I don’t know but these ones are indeed gorgeous, luxury cortijos which are now small hotels or B&Bs. I thought the list should be shared in English – if you’re looking for a great place to stay then this list won’t make your choice easy! The only part of this list I’m not happy about is that there is at least one hotel from every one of the eight provinces in Andalusia except my home province of Jaen. How sad is that. I know Jaen doesn’t have the same amount of luxury properties as other more touristy and famous areas but there are some special places here too! Check out Boutique Hotels in Jaen Province on Only Spain to see. The only one on the list that is on Only Spain at the moment is Finca Las Encinas. The source for this post was this article – Conde Nast Spain if you want to see the original post in Spanish. To read other posts about Hotels in Spain here on Luxury Spain Travel have a look at the Review page.